S*Pure – Apex Chromatography Pvt. Ltd.
S*Pure Pte Ltd is a Singapore based business that manufactures, markets and distributes Solid Phase Extraction (SPE) products and accessories including SPE cartridges, vacuum manifolds, as well as SPE Medias. 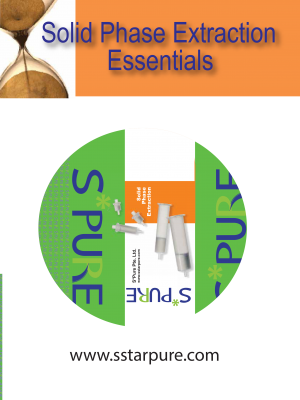 Incorporating the highest grade of silica in the industry S*Pure brings to you a highly comprehensive range of established SPE brands like Extract-Clean™, Maxi-Clean™, Ultra-Clean™ and Bioselect™, many of which have been in production for over 25 years. Using a consistent and pure silica base that employs tightly controlled bonding techniques, insures predictable analyte-sorbent interactions, critical in ensuring a bonded phase with high and reproducible recoveries. Our ISO 9001 Certified Manufacturing Facility has the capacity to manufacture both established products as well as work with customers in producing custom SPE product lines. Every part of the manufacturing process is carefully monitored. From managing our raw materials to stringent quality controls in the final product, we perform multiple quality tests, and provide a comprehensive quality assurance certificate. Our SPE chemistries are available in both silica based Reverse Phase and Normal Phase sorbents, in addition to Specialty Ion Exchange, DVB and Graphitized Carbon chemistries. Our Extract-Clean™ SPE Column formats are available in 1.5ml up to 75ml volume in over 30 chemistries in 10 bed weight options. The Maxi-Clean™ SPE Cartridges are a fully sealed unit with a female luer top and male luer bottom, these can be used by syringe or multiple cartridges by vacuum. They can also be stacked for multi-step extractions. The Maxi-Clean™ are available in 300, 600 and 900mg weights in over 20 chemistries. The Luer hub cartridge device is not as prevalent in the SPE Industry, and while manual processing is most common, this format offers a number of other interesting processing options including multimedia extractions. 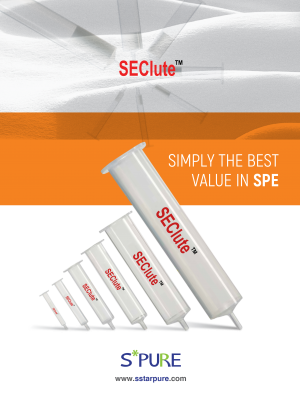 The Ultra-Clean™ SPE range offer an ultra-low extraction version of the Extract- Clean™ column for very sensitive applications. These are constructed of highly inert fluorinated polypropylene tubes with PTFE Frits. The Bioselect™ range are supplied in both C4 and C18 300A Silica based media. 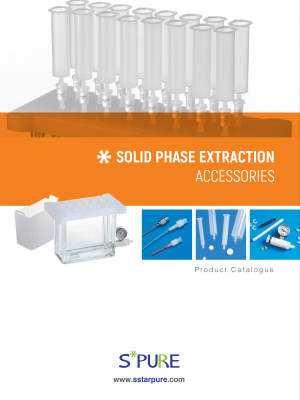 They are ideal for extraction, concentration and clean-up of biological samples. They are commonly used in Protein and Peptide applications.